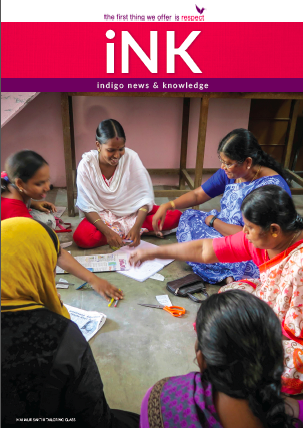 indigo foundation produces a biannual magazine, indigo iNK, with updates and stories from our projects, our achievements and challenges, a think piece looking at thorny issues in development and profiles of the fantastic people who volunteer their time for indigo foundation. We also send out regular updates by email. To subscribe, visit here. An Indonesian Congress – A snapshot of our first Congress, bringing together three Indonesian community partners for peer-based learning and a special workshop on organic gardening. A report from October’s World Bank / IMF Annual Meetings, a think piece on tourism and development, news from our wonderful volunteer team in Australia … and more! A think piece on climate change the the UN’s Sustainable Development Goals … and more! A piece on the history of women, gender and development … and more! Our think piece on Microfinance – is it really a good thing? Jirghai, Afghanistan – forging ahead! 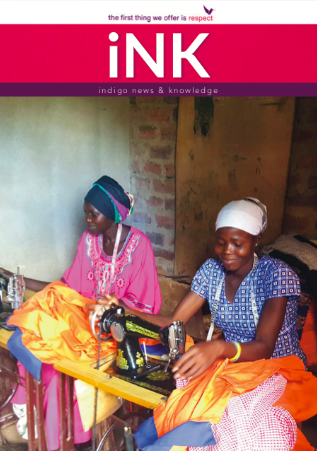 Our think piece, profiles of the indigo team, Pat’s picks and… more! South Sudan, Indonesia, our think piece, Board renewal, Pat’s Picks and … much more! 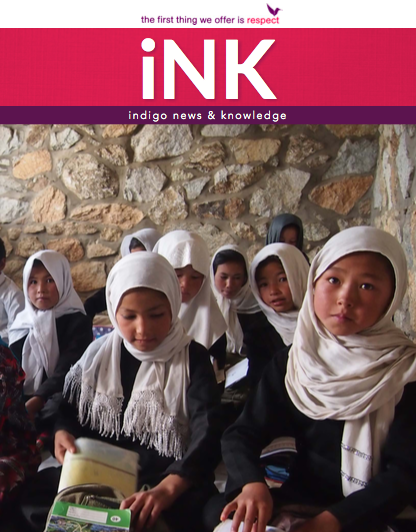 A community report for Afghanistan – why we are confident! New partnerships, our think piece, Board renewal and … much more! A new feature – Pat’s Picks! Our think piece about the new global development goals, upcoming events … and more! Our think piece about libraries in Africa, upcoming events … and more! The latest from our education and social support program in Budaka. Supporting culture in Aboriginal communities: is it worth it? What we have learnt after ten years in Afghanistan? The latest from our education, awareness and empowerment projects with children and women in Tamil Nadu, India. What is a Pig Bank? Find out what is happening in Rote, Indonesia. A new project in South Sudan: education in Northern Bahr el Ghazal, with the Australian based Dinka Literacy Association. Our think piece: ‘Why we should do less’.